In wood orking, Plywood Veneer refers to thin slices of wood, usually thinner that typically are glued onto core panels (typically, wood, particle board or medium-density fiberboard) to produce flat panels such as doors, tops and panels for cabinets, parquet floors and parts of furniture. Veneer is obtained either by "peeling" the trunk of a tree or by slicing large rectangular blocks of wood known as flinches. The appearance of the grain and figure in wood comes from slicing through the growth rings of a tree and depends upon the angle at which the wood is sliced. Planer Blades, Nose Bars, Anvils. It is used in marquetry. 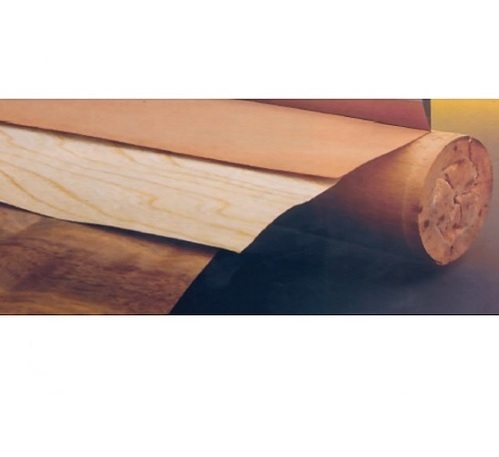 It is used to replace decorative papers in Wood Veneer. veneer is using for stability. Known for trading and exporting of an extensive array of the premium quality of Mechanical Products & Accessories, T.M.A. International started its operation in the year 1983 at Lajpat Nagar-1, New Delhi. Inclusive of Steel Strips, Cold Rolled Steel Sheets and Galvanized Steel Strips, we offer a wide range of metal products in various sizes, designs and thicknesses, which suit the requirements of our valuable customers in the most efficient manner. These metal products are manufactured as per the international quality standards by using advanced machinery and equipment. Available with us at industry leading prices, these metal products are known for their rich features such as corrosion resistance finish, optimum tensile finish, rugged & sturdy construction and longer serving life. In addition to this, the offered metal products are appreciated for their ability to withstand extreme condition of temperature. By working in close coordination and following customer centric approach, we have been able to understand the precise needs of our valuable customers. The offered metal products can be customized as per the specifications provided by our valuable customers. Quality of the offered metal products is never compromised at our end. We export our products to USA, South America, Europe, Middle East, Africa, Thailand, Russia, Malaysia, Australia and New Zealand. Mr. Pankaj Bansal is director of our company and he holds expertise in his area of work due to in-depth knowledge and experience of this domain. Backed by his excellent management skills, we have been able to cater to a huge clientele across the nation and overseas markets.